McGrew is one of 24 American forwards set to compete in the event, scheduled from July 28 to Aug. 4 in Kamloops, British Columbia. 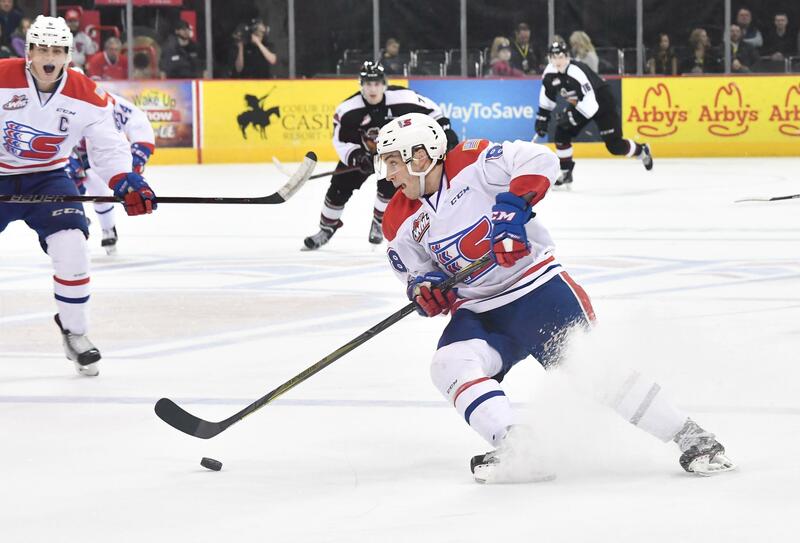 McGrew, 19, had a strong 2017-18 season with the Chiefs, totaling 19 goals and 19 assists for 38 points in 65 games, including 14 goals and 11 assists after the midseason holiday break. It was the Orange, California, native’s rookie WHL season after missing the 2016-17 campaign with a knee injury. The San Jose Sharks saw enough from McGrew prior to the injury to select him in the sixth round (159th overall) of the 2017 NHL Entry Draft. McGrew has participated in U.S. National Team camps, including the 2016 Under-17 Select Camp, during which he had four goals and five assists in five games with Team Red. Published: June 15, 2018, 5:53 p.m.